The web again surrounded the video clip from years ago when the angry farmer took things into his own hands. On his property, protesters gathered without his permission, and even set up tents there. Since they didn't want to leave his land, the farmer sat in the tractor, connected the trailer with the sprayer and drove towards the protesters. Protesters gathered on his land in Lancashire to protest against genetically modified food there. Because they did not respond to kind words, the farmer sat in his tractor, then shocked the protesters with the next move. 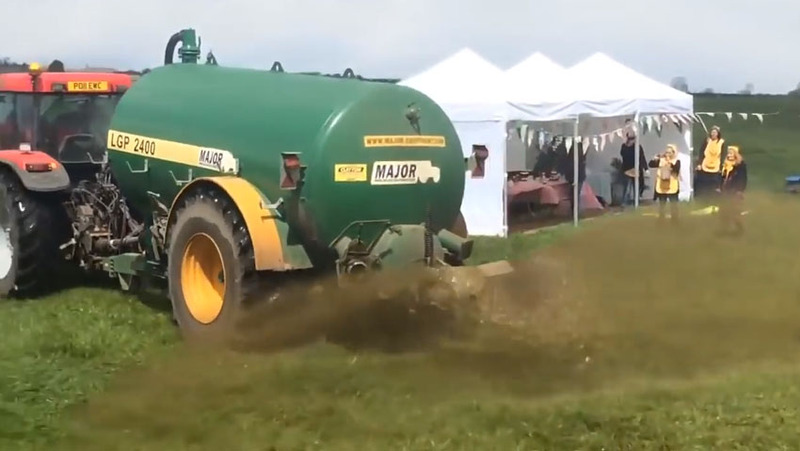 In the trailer, it was a manure used by farmers for better crops grow. Smell quickly flooded the area, and some protesters also felt the contents from the trailer on their own skin. Many people across the web have congratulated the farmer for such a move. What do you think? Did the farmer do the right thing?